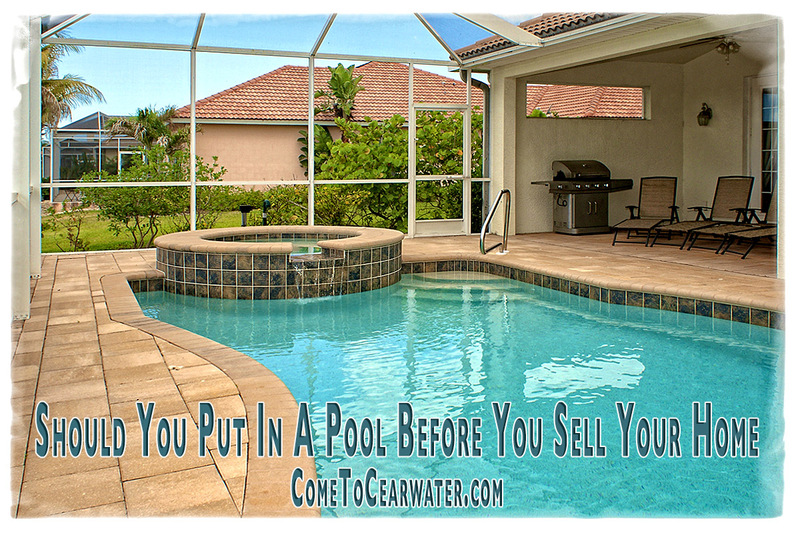 You’re contemplating selling your home and wonder if you should put in a pool to help it’s “resaleability”. There is no short answer yes/no, it’s a bit more complicated than that. So let’s look at the pros and cons of the decision to add a pool. If your home is a luxury home, add it. Buyers of luxury homes expect certain amenities and a pool is certainly one of them. In fact a pool and spa is an even better decision. While it may not hike the value exorbitantly, it will certainly put you in the running with homes of similar value that have a pool and spa. Be sure to add all the bells and whistles, as well as all of the safety features. Best bet? Check with your Realtor and see if it is a good investment for your home. He or she might just tell you to spend the money inside the home. You won’t get your money back. Whatever the pool costs to install will not add that much to your asking price, if anything at all. 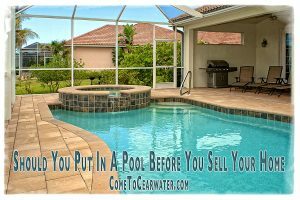 If your home is a starter home, or a next step up for a small family, a pool can actually detract from it’s value and attractiveness. Why? It’s a safety issue for small children. Even with safety features like a fence. Unless you have an alarmed fence and cover, most families will see a pool as a drowning risk. Adding one in order to boost your home’s value is a bad idea. Take the money and update baths or the kitchen instead. You’ll get added value there. Even in Florida think about a decision to add a pool. Don’t do it to add value or sell your home. Still not sure? Ask your Realtor. They know your area, expected amenities and values. Then take their advice.